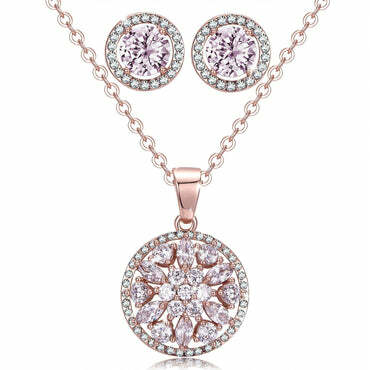 ● MATERIALS: International standard 925 sterling silver and healing nature pink crystal stone. 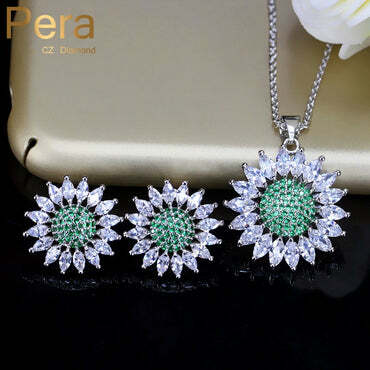 ● JEWELRY SIZE: Necklace chain size: 18”. Pendant size: 0.75" * 0.75" inches. Stud earring size: 0.6” inches. Ring size is adjustable. Flower with Purple crystal on top is: 0.6” inches. 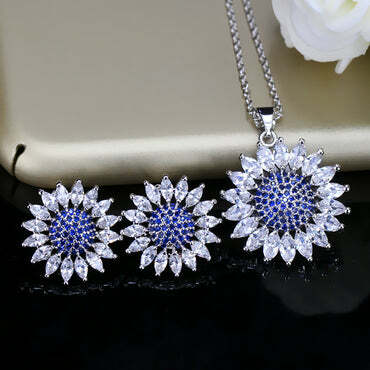 ● JEWELRY HIGHLIGHT: High polished make the metal color bright and durable. 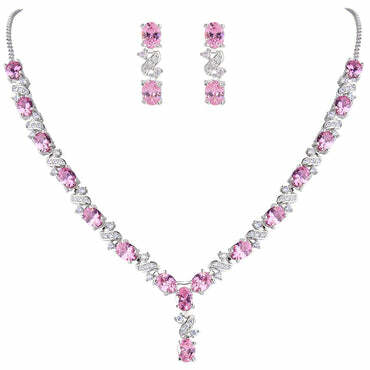 Shining and meaningful pink crystal a symbol of protect the wearer against dangers, promotes balance and protection. ● GIFT CHOICE & RECOMMEND: Perfect jewelry for women, girlfriend, mom, best friends, girls and bridal wedding. A great gift for yourself or someone you love and care. ● PACKAGE: Each order delivered with ISAACSONG.DESIGN gift jewelry box and velvet jewelry storage bag. 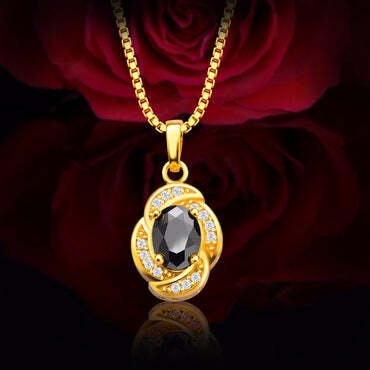 ♫ We believe jewelry could be both beautiful and meaningful. Your feedback is our motivation to improve. If you have any question, please feel free to contact our customer service department, we provide friendly and effective support. 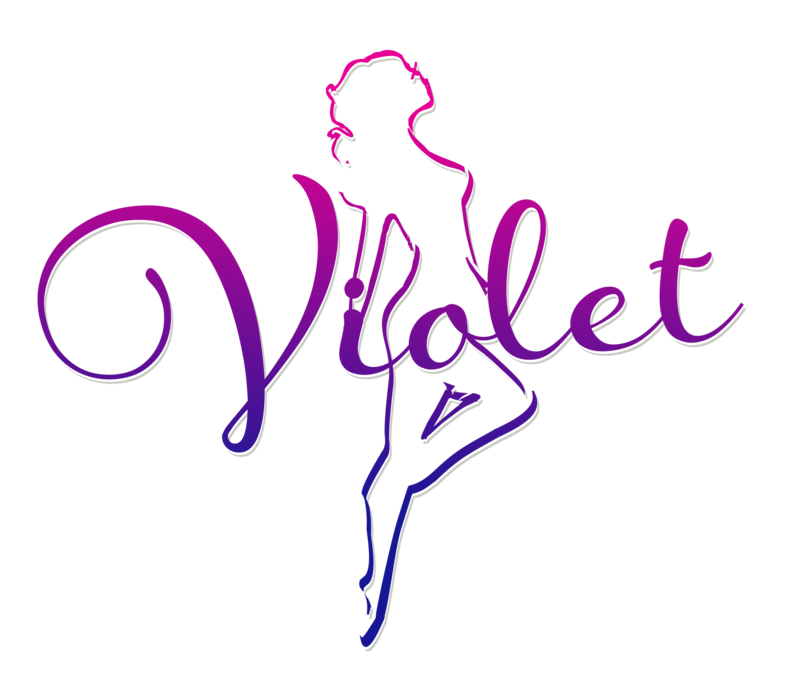 ♥ Help women to pursue beautiful, fashion, elegant and charming. Age appropriate for everyone. Eye-catching on your any occasion. ♥ Perfect gift for Mother’s Day, Birthday, Graduation, Back to School, holiday gift, Thanksgiving Day, Anniversary, Valentine’s day Gift, Christmas. ♥ Choose environment friendly material, Nickel-free, Lead-free, Cadmium-free and Hypoallergenic. All pictures are 100% actual photos. Daisy, represents of innocence, purity, new beginning and true love. SAKURA, represents of beauty, renewal and nature of life. Amethyst, nature healing crystal stone represents of peace, protection and balance. A birthstone crystal for February. Halo Circle, a symbol of love, creation and rebirth. 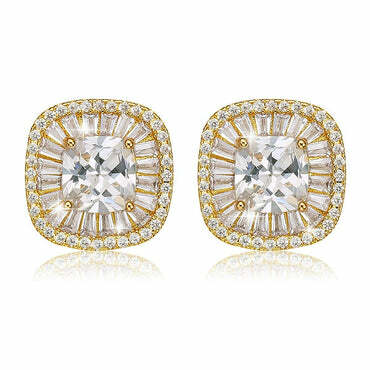 Zirconia Crystal, nature gemstone represents of eternal love, courage and invincibility. Pink zirconia crystal, nature healing crystal stone, promotes balance and protection. A birthstone of October. ♥ Please avoid contact with liquids. Put the jewelry on after applying makeup. ♥ Don’t Wear Jewelry in Swimming Pool, Spa, exercise, bedtime and laundry. 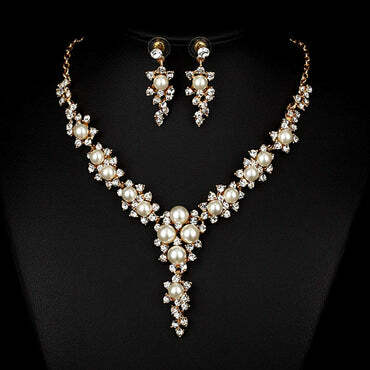 ♥ Keep Your Jewelry in jewelry bag, avoid moisture to make them lose their luster. ♥ Before storing your jewelry, please use clean dry soft cotton cloth to rub it. 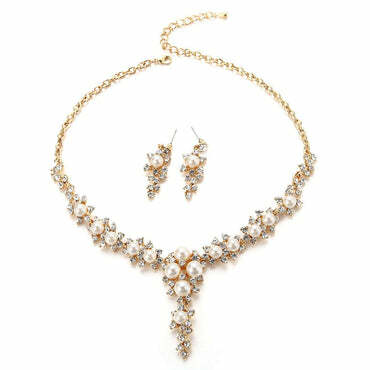 Pease click on “ISAACSONG.DESIGN”for more necklace, bracelet, earrings, jewelry set, keychain, there are more design for your choice. Thank you.